A young doctor causes a traffic accident in a small town and is sentenced to work for some days at the town hospital. A moderate hit for Michael J. Fox after the finish of the Back to the Future trilogy, 1991’s Doc Hollywood introduces us to Ben Stone (Fox). A young doctor with dreams of medical glory and fortune, he plans to go to Beverly Hills and become a well-paid plastic surgeon. Fate places an obstacle in his way, though, when Ben gets lost on the road and winds up in small-town South Carolina. Ben accidentally destroys the local judge’s (Roberts Blossom) fence, so he receives a sentence to do community service in the local hospital. Initially Ben resists the charms of country living, but he slowly starts to warm up to Grady and its inhabitants – especially when he finds himself smitten by Lou (Julie Warner), the town’s ambulance driver. We follow Ben’s relationships and how these may influence his future plans. Doc Hollywood provides the definition of a gently/mildly amusing film that entertains but doesn’t stand out in any way whatsoever. It's never less than competent and professional, but it's never more than that, either. That said, Doc Hollywood works well enough, especially given that it embraces so many clichés. Foremost, this offers one of the eight bazillion "fish out of water" movies that exist as such a cinematic staple. Comedic filmmakers adore the notion of putting a person in an unfamiliar situation and watching the laughs accumulate as that person struggles to cope with this scenario. It’s a common motif, and not one that this effort changes in any notable way. Doc Hollywood also includes virtually every non-offensive trope about Southerners that exists. Most of the townspeople of little Grady come from the Andy Griffith Show school of amiable hicks who love their slow-paced countrified lifestyles. This film clearly boasts no political agenda of any sort. Grady's an integrated little burg, but no allusions to any kind of racial prejudices occur. There's nary a redneck in sight. These folks may be hicks, but they're happy, caring hicks who don't possess any bigoted bones in their downhome bodies. I might get myself a little worked up about how absurdly idealized this film's notion of the South and of small-town living seems, but I just can't do it in this case. It's Doc Hollywood, for God's sake. This is a movie meant to calm and reassure, not to provoke. After watching it, I'm just too damned sedate and drowsy to work myself into any sort of lather. Maybe "drowsy" isn't a fair term, for the movie isn't dull. It's slow but it's sweet, and even a hard-edged cynic like myself falls for some of its romantic persuasions. Doc Hollywood possesses a pretty decent cast, headlined by steady Michael J. Fox. Woody Harrelson's amusing as a smarmier Southern version of his Cheers persona, and Bridget Fonda's perfectly adequate as well. Julie Warner satisfies but never scintillates as Fox's bemusedly suspicious love interest. Like the film in which they serve, the cast performs ably but without any real verve, and that's just fine. Doc Hollywood offers some innocent, non-offensive chuckles in a perfectly perfunctory manner. It's a likable but eminently forgettable little piece that's probably best suited for viewing by you and a significant other when you just want to relax in front of the TV and keep your blood pressure steady. Doc Hollywood appears in an aspect ratio of approximately 1.85:1 on this Blu-ray Disc. A product of its era, this became a largely positive presentation. Sharpness varied but usually appeared pretty good. Some interiors and nighttime shots could be a little on the soft side, but much of the film displayed nice accuracy – especially during daytime exteriors, which could seem stunning. I saw no issues with jagged edges or shimmering, and edge haloes remained absent. Print flaws also failed to appear. With a natural palette, the movie offered pleasing colors. The tones came across with warmth and vivacity much of the time. Blacks appeared dark and dense, and shadows looked smooth despite the minor softness that manifested during low-light elements. No one will ever watch Doc Hollywood for its visual charms, but this still offered a pretty pleasing image. As for the film’s DTS-HD MA 2.0 soundtrack, it worked fine for its vintage. Given the movie’s ambitions, the mix didn’t shoot for much, but it added a little zest to the proceedings. Music showed good stereo presence, and the various channels contributed reasonable engagement to the side and rear. Nothing excelled, but the soundscape gave us a bit of breadth. Audio quality also seemed fine. Speech was reasonably natural and concise, while music showed acceptable pep and clarity. Effects brought us accurate enough material. This was never a memorable track, but it worked for the story. 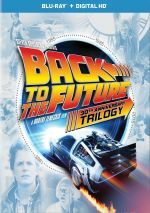 How did the Blu-ray compare to the 2016 DVD? Audio seemed similar - though the lossless DTS-HD MA mix added a little warmth to the proceedings, there wasn’t much to be done with such a low-key sonic landscape. Visuals became a different story. 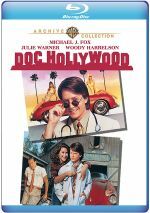 Doc Hollywood suffered a grim fate on DVD, as the original 1998 DVD included only a modified aspect ratio – and looked awful to boot. After almost 20 years on this site, I’ve handed out very few “F” grades for picture quality, but the fuzzy, ugly 1998 DVD got one of those. The 2016 widescreen DVD looked much better but still had issues, which made it a “C” in terms of visuals. All of that made the Blu-ray such a welcome improvement. Virtually everything about this disc topped the 2016 DVD, as we got a significantly sharper, cleaner and more vibrant presentation. The Blu-ray easily beat out the prior DVDs. Like the 2016 DVD, the Blu-ray provides a trailer. It’s not much, but it beats nothing. Amiable and occasionally charming, Doc Hollywood never pushes any boundaries. Predictable as it may be, though movie offers a moderately entertaining comedic fable. The Blu-ray provides very good visuals as well as mostly fine audio and no real supplements. I’d love to someday get a few actual bonus features attached to Doc Hollywood, at least the Blu-ray finally presents the movie well.